The Peoples Democratic Party on Sunday said it reviewed the world press conference held by the Governor of Lagos State, Akinwunmi Ambode, and surmised that the governor validated its position that the All Progressives Congress allegedly consists of those it described as fraudsters and election riggers. Governor Ambode had in the press conference stated that his opponent in the race, Babajide Sanwo-Olu, was arrested for spending fake dollars in the United States of America. 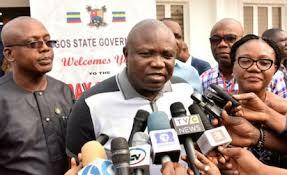 Ambode further stated that Sanwo-Olu was detained in the USA on account of the alleged crime. The governor further alleged that his party, the APC, was disenfranchising its members by insisting that registered members of the party, who were yet to be issued with membership cards, will not be allowed to participate in the gubernatorial primary election.